How Much of Your Home Do You Want to Automate? Exactly how much do you want to automate in your home? Do you want to just start off with a simple smart outlet that controls whatever device you see fit to plug into it? Or are you ready to go whole hog into home automation, decking out every room of your home with every bit of home automation technology you can scrounge up? Starting small simply means you’re just getting your feet wet in home automation, not that you’re somehow not putting sufficient effort into it. If you’re at all hesitant about home automation, go the small route, anyway. If you decide to start small, go a more universal route, rather than tying yourself to one specific automated task. An example would be starting with something like the WeMo Switch, seen here. 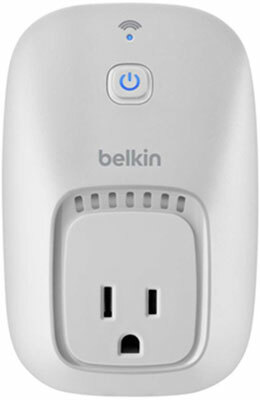 This device is simply an outlet that you can control with your smartphone or tablet using the WeMo app. This kind of universal product enables you to see how home automation works at its most basic level, while pairing control with a simple, but powerful, app. There are other smart outlets out there, and plenty of other devices of this general type, that will help you get an idea of what home automation can do for you. So, you’re thinking about just diving right in with both fins, eh? Going for the gusto is how you roll. In this scenario, confine your home automation products to as few manufacturers as possible, such as going with INSTEON products throughout your home. The object of sticking with one manufacturer is to avoid any pitfalls that may occur due to incompatibility between products of various makers. Viper Starter Kit: Click the Starter Kit tab. 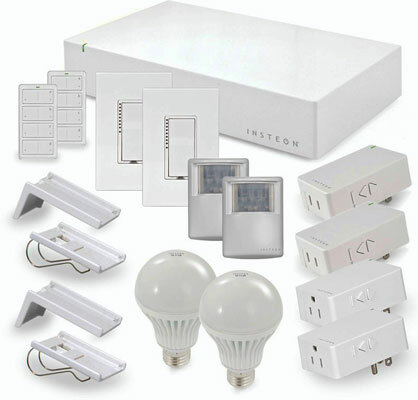 INSTEON: Check out its selection of starter kits. Many others are available, too. Just search for home automation starter kit in your favorite search engine and investigate the results. It’s a good idea to find a protocol you like and stick to devices that run that protocol (as best you can, of course).